Photo courtesy of Escape Challenge. IBM Pricing Analyst Nathan Schroeder says he’s never been satisfied doing just one thing in life. He wants to be busy. To fulfill this desire, Schroeder opened Rochester’s very first locked-room puzzle experience, Escape Challenge, in 2015 with his mom Cindy. Only one year after launching, the business was so popular that Schroeder opened a second location within the city. 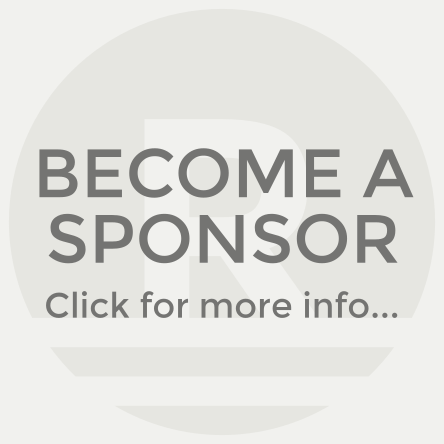 Now, he and his team must constantly innovate to satisfy their growing customer base while continuing to educate the public about their business concept. As a native of the Rochester-area, Schroeder constantly heard people complain about the lack of entertainment options within the city. He decided that this was a puzzle the needed solving. A few years prior, a family member had mentioned how much fun she had at this thing called an escape room while traveling abroad. Three generations participated in this single activity, and they all enjoyed it. At that time, Schroeder was in the latter part of his MBA studies and was looking to do something just a little bit different. He thought this escape room concept could potentially be the solution he was seeking. He traveled to the nearest escape room, which happened to be in Minneapolis, to experience the concept for himself. His family’s testimony held up; Schroeder had a great time but also saw opportunities to enhance the escape room experience. At that time, no other escape room options existed in Rochester. Schroeder said the upfront cost to start one wasn’t that large. He thought it was well worth the risk. “If people didn’t accept it and it didn’t do anything, the investment wasn’t so much that it was out of control,” he explained. In 2015 Schroeder and his business partner/mom, Cindy, opened their first small Escape Challenge location in the downtown Rochester area. To their relief, the reception of this novel concept in Rochester was overwhelmingly positive. Schroeder said Escape Challenge surpassed one hundred reviews on TripAdvisor within their first six months of operation. The response was so massive, they opened a second location in northwest Rochester just over one year later to keep up with the demand. If you’ve never experienced an escape room, here’s what you’re missing. An escape room is basically a giant, room-sized puzzle where teams of five to ten people get locked in and search for information and clues to complete the puzzle and “escape” from the room in under sixty minutes. All escape rooms revolve around some type of story line. Escape Challenge currently has five different escape room concepts across its two locations. The themes in these rooms are quite diverse, including a diamond heist, a cartel hostage situation, and diagnosis and treatment of a rare plague (because we are in Med City). Escape Challenge rooms are meant to be extremely difficult- only a few teams make it out without any clues- and require teamwork and collaboration. One of the best parts: Escape Challenge is for just about anybody. “It’s not uncommon to start the day with a corporate team building event with Mayo, have a kid’s birthday party in the afternoon, a church group in the evening, and a bachelorette party at night,” Schroeder explained. Schroeder designs most of the escape room challenges himself, relying on family, friends, and test groups to determine how the challenge will fare once it’s opened to the public. He jokes that many of the puzzle ideas come from watching Mickey Mouse with his kid. But as a finance guy, Schroeder enjoys this opportunity to tap into his creativity and seek inspiration from his everyday surroundings. The Escape Challenge team must constantly innovate to create and introduce new escape room concepts into the business to retain customers who have completed several of their escape challenge rooms. Even though the Escape Challenge business is new, Schroeder is no stranger to starting something. He ran a satellite cell phone retail chain in Rochester for over six years. While he enjoyed being an entrepreneur, he was entering a peaked, established market. His cell phone chain was at the distribution end of the spectrum, where there was little room for creative business development. However, everyone in Rochester knew about cell phones when Schroeder opened his retail chain. He’s at the complete opposite end of the dial with the escape room business. Although now he has all the room he wants to create the market and develop an innovative business plan, few people in Rochester understood the concept when Escape Challenge first opened. “The idea of marketing and trying to educate an entire customer base of what this was, that was a very daunting piece,” he remarked. 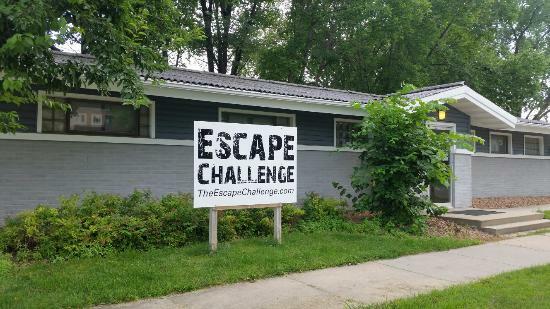 Now that additional escape room businesses have opened in Rochester, Schroeder thinks they can help him with this challenge. “New companies, for most businesses, are a big negative. But for us, it’s someone else to split the burden of educating the customer base of what we are, what we do,” he said.